Zucchini noodles are a delicious way to get an extra serving of veggies. 1. 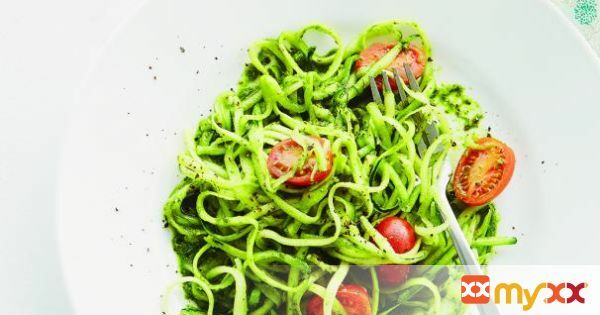 Use a spiralizer or grate zucchini lengthwise using the large holes of a box grater, into spaghetti-like noodles. It should measure about 8 cups.